President Donald Trump is unlikely to reverse a 2015 Obama administration decision to formally change the name of Mount McKinley to Denali, as it is now known, according to Alaska Sen. Dan Sullivan. Sen. Dan Sullivan offered up the previously unknown bit information about a March meeting between him, Sen. Lisa Murkowski, Interior Secretary Ryan Zinke and Trump in a speech at the Alaska Federation of Natives' annual conference Saturday. The foursome had a sit down in the White House to discuss Alaska issues. Murkowski came armed with her maps, and Sullivan with his numbers. Zinke joined them and they discussed a wide range of issues — "our fisheries, whaling, the culture of whaling in Alaska, the economy, the military," Sullivan said Saturday. One by one, regarding Obama administration executive actions for the National Petroleum Reserve-Alaska, the Arctic Ocean, a road out of King Cove, Trump would turn to Zinke and ask, "'well can we change that to help Alaska?" Sullivan relayed. To each, Zinke replied, "yes, sir." But Trump had one final issue on his mind. "He looked at me and said, 'I heard that the big mountain in Alaska also had – also its name was changed by executive action. Do you want us to reverse that?'" Sullivan said. He and Murkowski "jumped over the desk, we said, 'no! No. Don't want to reverse that,' " Sullivan said. Alaska's junior senator told the president that Denali was the name given to the mountain by the Athabascan people more than 10,000 years ago. And Sullivan's wife is Athabascan. If "you change that name back now, she's going to be really, really mad," he said he told the president. "So he's like, 'all right, we won't do that,' " Sullivan said. The story, which didn't come up in prior extensive conversations with the senators about that meeting, closes the door on a campaign promise that left some Alaskans wondering when Trump won the presidency last year. In 2015, Obama's administration changed the name back to Denali just before the president visited the state. Trump, just two months into his then-nascent candidacy for president, took to Twitter and pledged to change it back. 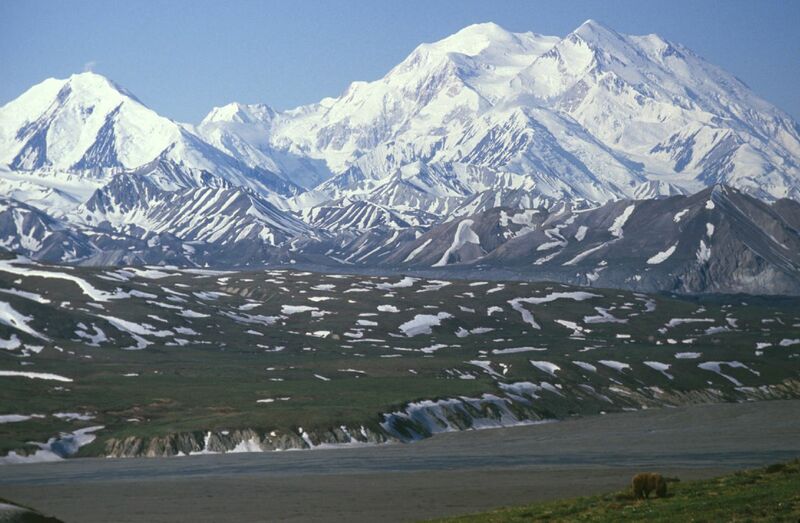 The fight over Denali versus McKinley carried on for decades in Congress, with congressmen from President William McKinley's home state of Ohio filing legislation every year to stop the federal government from removing the 25th president's name from the mountain. McKinley never did visit the mountain, or the state of Alaska. Alaska Dispatch News reporter Lisa Demer contributed to this report.